My name is Jain Squires. I live in North Yorkshire UK. 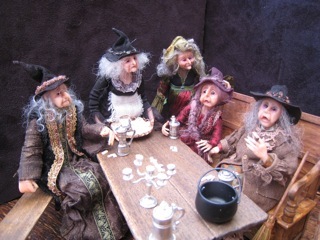 I have been making miniatures for around 12 years now and for the last 4 years have been selling my giddy characters at fairs and online. 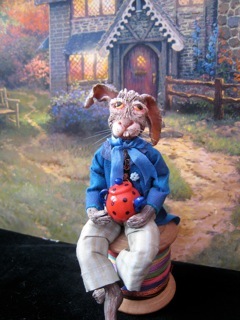 The characters are made from polymer clay and each one is hand sculpted. It is impossible to replicate them. I prefer not to repeat characters, I like to think people have a OOAK in every way. I do not accept commissions at this time, but occasionally have characters for sale from my blog or website.